I know. I am a bad blogger. Soo what does one do in the final run-up to a wedding? Um, go a bit mental, it would seem. And ignore one's fledgling blog. Oopsy. Looking a bit self-satisfied. Do you think they said to her "This is a book about feminism. Arch that eyebrow, and arch it good"? So, yes, I read it. Devoured it, in fact - didn't really have a choice. I enjoyed it. I didn't agree with everything she said, like. But it was challenging in parts, and made me think and, of course, it was bloody hilarious. One of the bits that made me think was, unsurprisingly, the one about weddings. It was a chapter that narked me a bit definitely challenged me. There I was feeling that I had just about made my peace with my ginormous nuptial celebrations. I mean, all those bloody Irish Catholics, no television aye aye? Ha ha YES WE'VE ALL HEARD THE BLOODY JOKES. I have thirty-odd FIRST cousins and all of their partners to contend with for a start, not to mention second cousins (a number of whom are actually closer in age to me). And I didn't want to compromise on friends, either. It really was a case of all or nothing. So we went with all. Cue much anxiety. Are we comfortable with spending this? We would quite like to live in North Yorkshire and play at semi-rural life...we are basically spending a house deposit on this bash, yer narr? But it was never really an option. We wanted a bash. We wanted a sheBANG. We wanted people there. But you see, Moran doesn't like that. Ooooh no no no. Moran got married in a (frankly awful could-only-happen-in-the-90s) red velvet dress with vine leaves in her hair. It was a 'so-crap-it's-cool' affair. Now she is probably one of my idols, but that should be said. Of the traditional wedding frippery and customs she is fairly scathing. Of big weddings she is fairly critical. About traditional weddings she doesn't have many kind words. And I'm paraphrasing here because I lent the book to a friend as soon as I finished it (I really DID enjoy it! ), but there's a sentence that's something along the lines of: (deeply sarcastic tone) "And, you know, as a woman you don't have anything to do for a wedding, except turn up and look pretty. Heck, you don't even have to speak if you don't want to." Now, this troubled me. I felt like I was doing everything wrong. 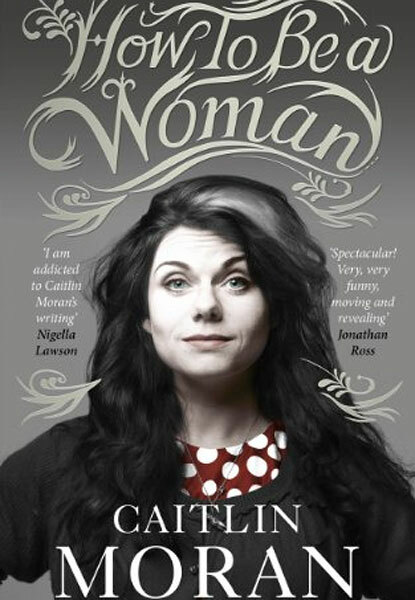 Caitlin Moran is mint, right? Yeah? And she says that traditional weddings are lame. We should re-write the bloody rule book. I consider myself a bit of a feminist - why the HELL aren't I standing up there on my wedding day thanking my nearest and dearest and declaring my love for Bedford? Why aren't I up there screaming, "GUESS WHAT? ME! MEMEMEMEMEME!" And I thought and I thought and I thought. And then I realised something. I'm not standing up on Saturday (fook) in front of a room full of people to shout my joy from the rooftops because I feel I can't. I'm not doing it because I'm a woman. I'm not doing it because in reality I'm actually a Little Bit Shy. And I would be reallyreallynervous about it. And Bedford is Gob On A Stick and relishes things like this (even though he'll be nervous beforehand. He'll actually enjoy it. Afterwards). So what else have I been doing? Wrapping things. Writing lists. Sticking fancy tape on every item you can imagine. Oh, and eating biscuits. From the Younger boys. Aww. I shall pop a picture on.